Volume Shadows Copies is a technology developed by Microsoft to take restorable snapshots of a volume. 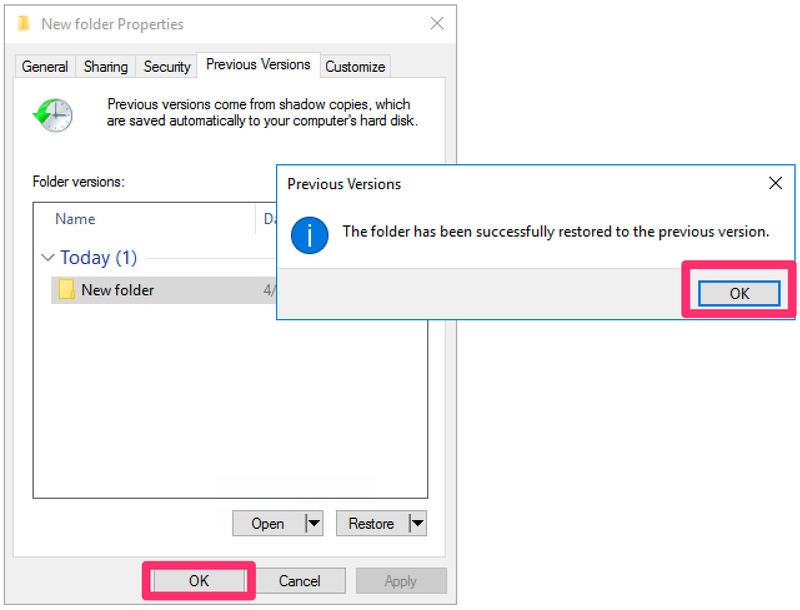 Create an additional disk to hold the Shadow copies, as per Microsoft's best practice to avoid performance issues. Enabling Volume Shadow Copies on Disk. 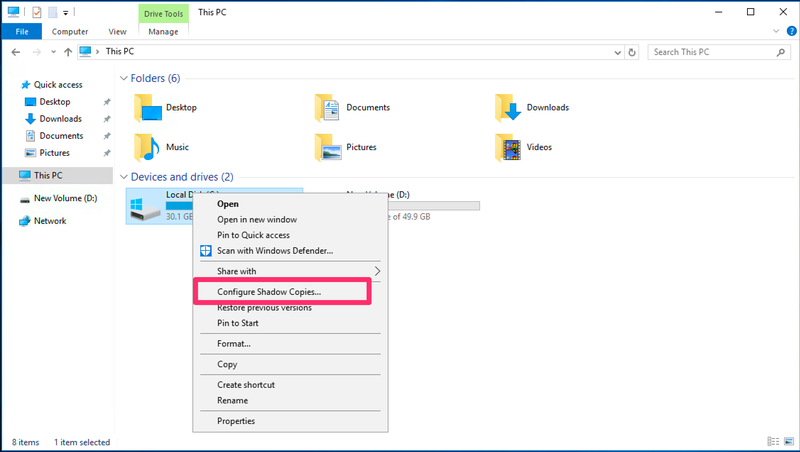 Open File Explorer and right click on the Volume you want to enable shadow copies on. Select "Configure Shadow Copies"
2. Click on the Volume you want to enable Shadow Copies for, then hit settings. 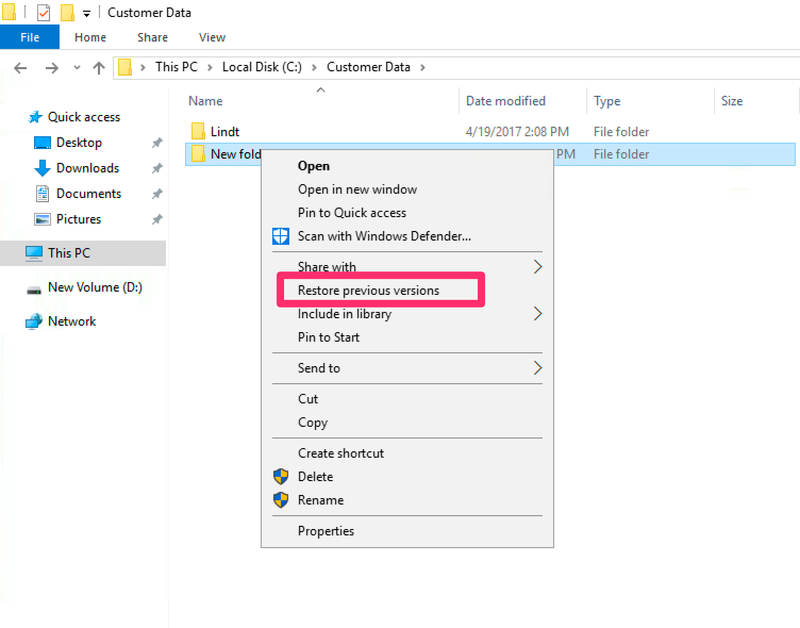 Under "Storage Area" change the location to the additional disk you created at the beginning. You can also change the size limit of the volume copies. If it reaches the limit set, it will delete the oldest copy. Click OK on all the Schedule then Settings Dialogue once done. 3. With the volume still selected, hit enable, and it will run the first shadow copy with the settings you implemented. 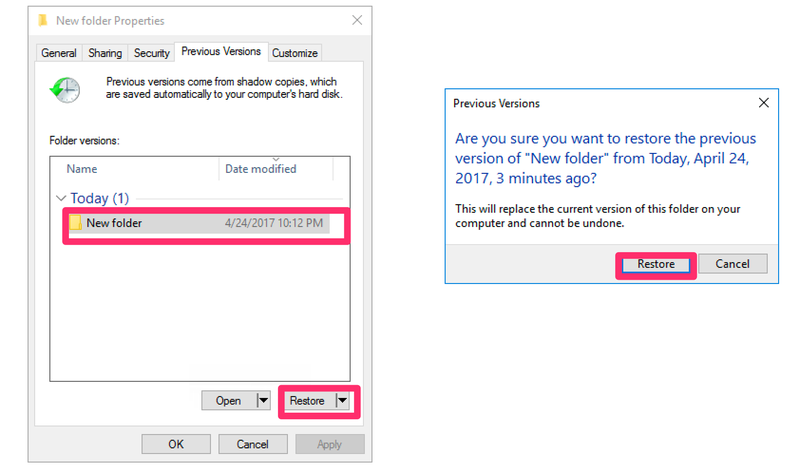 When a file or folder has been modified and you would like to revert the changes, just right click on the file/folder and choose "Restore Previous Versions"
2. Select the version from the dropdown, and hit "Restore" then "Restore again in dialogue prompt. 3. Hit OK in the final two boxes and the process is complete.